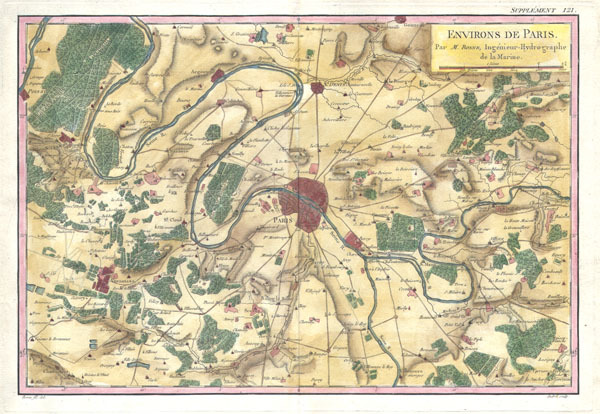 A rare and beautifully hand colored c. 1780 Bonne map of Paris and its environs. Covers from Poissy in the northwest to Ferolles in the southeast, and from Chateaufort in the southwest to Gonnesse in the northeast. Depicts roads, gardens, forests, churches, and estates surrounding the city proper. Engraved by Andre as supplement no. 121 for Bonne's Atlas.